Israel Dagg has announced his retirement. Photo / Getty Images. The injury-enforced announcement comes after 30-year-old Dagg's long-term knee injury hadn't allowed him to train and play at an elite level, so after taking medical advice he has decided to retire. The news brings the curtain down on a stellar rugby career which began in 2006 when Dagg made his debut as an 18 year old for his Hawke's Bay provincial side. He ends his career having played 66 Tests for the All Blacks over eight years (2010 - 2017), 89 matches for the Crusaders (2011 - 2018), 25 games for the Highlanders (2009-2010), and 50 appearances for his beloved Hawke's Bay Magpies (2006 - 2015). While disappointed that his fantastic rugby career has been ended by injury, Dagg is also philosophical and says he's grateful to have had such a long and successful career, which included a Rugby World Cup win in 2011 and numerous other successful campaigns with the All Blacks, and back-to-back Super Rugby championships with the Crusaders in 2017 and 2018. "It's been an honour to represent the All Blacks, Crusaders and Hawke's Bay over the years and I'm incredibly proud to have worn each of those jerseys throughout my career. "On behalf of all rugby fans both here and around the world, I want to thank Israel for his stellar service to New Zealand rugby. "He leaves us as one of the greats of our game and the second most capped All Blacks fullback of all time. He was an excitement machine on the rugby field and fans knew that when he got the ball in his hands that anything could happen. "Israel came into professional rugby at a relatively young age but, injuries aside, was able to perform at the highest level for many years and certainly wore the All Blacks jersey with real pride and honour. 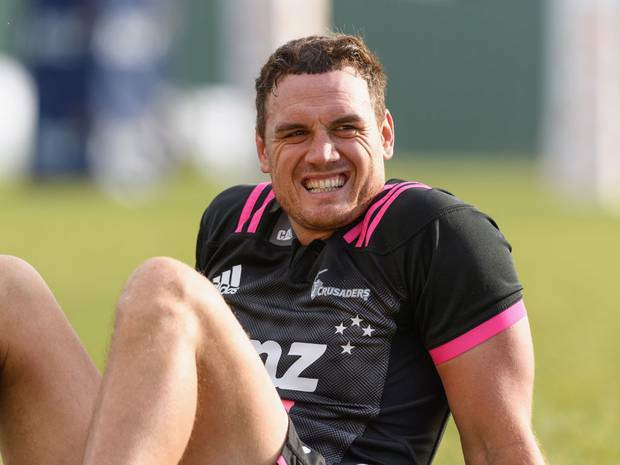 "We'll miss having him play, but given his infectious personality and positive attitude, I'm sure the New Zealand public will still see plenty of Israel Dagg as he enters the next phase of his life. We wish him and his family all the very best." BNZ Crusaders CEO Colin Mansbridge said: "Izzy has had a wonderful Super Rugby career with our club, but it's his personality that has ultimately endeared him to staff, his team mates and our Crusaders fans over such a long period of time. His 'team first' approach ensures he'll continue to provide support to our group throughout the 2019 season, and we certainly wish him and his young family all the very best for the future." BNZ Crusaders Head Coach Scott Robertson added: "Izzy has made such a massive contribution to the Crusaders both on and off the field over the past eight seasons. He's a world-class player, a great team man and an absolute champion. He has been a huge part of the success of this team and his willingness to take the time to mentor the young guys coming through has been hugely important in their development. "Izzy has been a leader within the Crusaders for a long time and has been driving our culture throughout his career. He'll stay in our environment and remain an important part of this 2019 campaign - which shows the measure of the man." All Blacks Head Coach Steve Hansen said: "It's always a shame when injury forces a player to retire, but 'Izzy' will leave our game knowing that he'll forever be remembered as an outstanding player who definitely enhanced the All Blacks jersey and contributed to the legacy of the team. "We'll all miss his outstanding rugby skills on the field, but he was a real character off the field as well. We'll look back fondly at his time in the black jersey - he's a very special man and a very special player. Hawkes Bay Rugby CEO Jay Campbell added: "Israel was destined for greatness even before bursting onto the scene as a schoolboy superstar for the Magpies in 2006, and it's no coincidence that his time in black and white saw unheralded success for the Magpies. "While injury and his international commitments restricted his appearances in recent years, at his peak Izzy was one of the world's finest players and he retires a Magpies legend whose legacy and outstanding contribution to rugby in Hawke's Bay cannot be underestimated. "On behalf of all Magpies fans, I wish him well in his post-rugby career."